What if you lose that power? Who then has the power? As you read this, if you have thought to yourself, but I won’t lose the power to do things for myself …. I’m young …. I’m healthy …. I’m married …. Accidents or illness can strike anyone at any age. That’s why you are reading this – as any Boy Scout or Girl Guide knows “be prepared”. A Power of Attorney (or PoA) is a document in writing, signed by you, giving someone authority to make decision, take action and sign things on your behalf. You choose the person or people that you want to act on your behalf (a Power of Attorney) and the control you want them to have. Can’t my husband/wife/partner/children/business partner just make decisions for me? No! No one has an automatic right to make decisions for you. There must be a written legal link between you and your chosen Attorney. No legal link = no legal powers. You can pick anyone you wish, a family member, friend or solicitor. It’s always best to pick someone you trust to make the right decisions for you. There are two types of PoAs: Financial and Welfare. A financial attorney is also called a “continuing” attorney, but in effect, they deal with your financal affiairs and can act on your behalf before and after you lose the ability and capcaity to act on your behalf. You can choose different people to be your Attorney for different powers. How do I set up a Power of Attorney? The sooner, the better. We can guide you through the process. What happens to my Power of Attorney once it has been signed? We recommend it is registered with the Office of the Public Guardian. Once registered it remains valid even if there are changes to the law in the future. We hope once signed, it never actually requires to be used, but it is a great invaluable document if it ever is needed in the future. 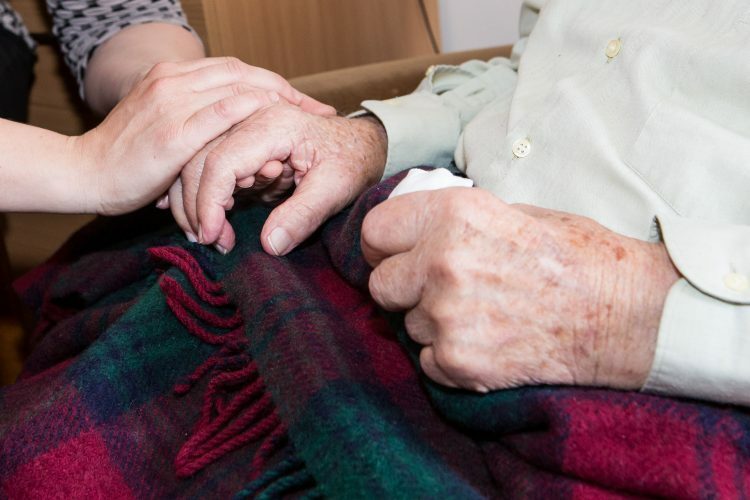 What is the cost of preparing a Power of Attorney? 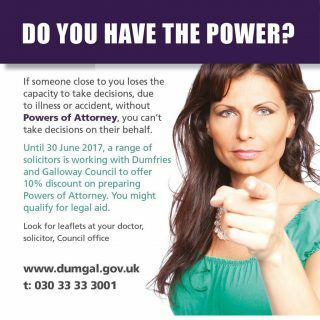 Until 30 June 2017 we are working with Dumfries and Galloway Health and Social Care Partnership and are offering a 10% discount on our legal fees for PoAs. Please contact us for a full breakdown of costs as these vary dependent on your own, personal circumstances, for example, if you are a couple and you both want to sign a PoA, there will be a an further discount if you make them at the same time. All quotes are free and there is no obligation upon you to proceed. Please email karen@hallbaird.co.uk, send an enquiry through our website, or phone the office for more information or pop in to the office and pick up a leaflet.